Motorola has a long history of innovation in the mobile industry, from making the world’s first mobile itself to the slick RAZR phone. Now it looks like the company is planning to introduce yet another technology in a hope to change the smartphone world. 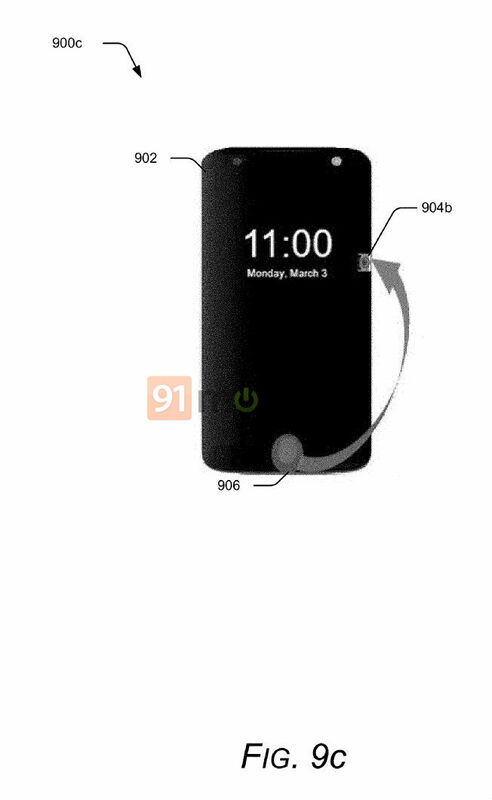 The phone maker has filed a patent for HTC’s Edge Sense-like feature for one of its upcoming handsets. While it’s not known yet which smartphone will the feature debut with, the technology involved suggests it could be a flagship device. 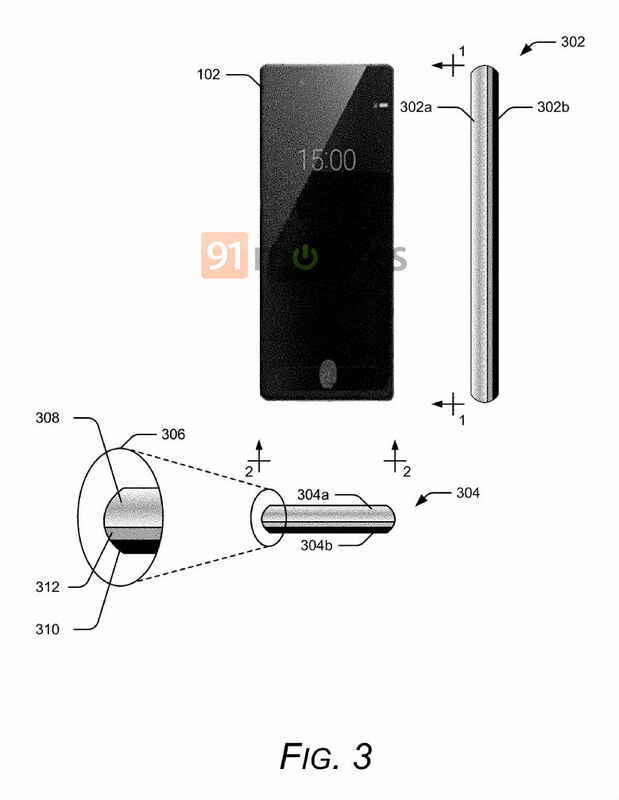 The patent has been spotted on the website of the World Intellectual Property Organisation (WIPO), and it has several detailed images attached to reveal some details about it. 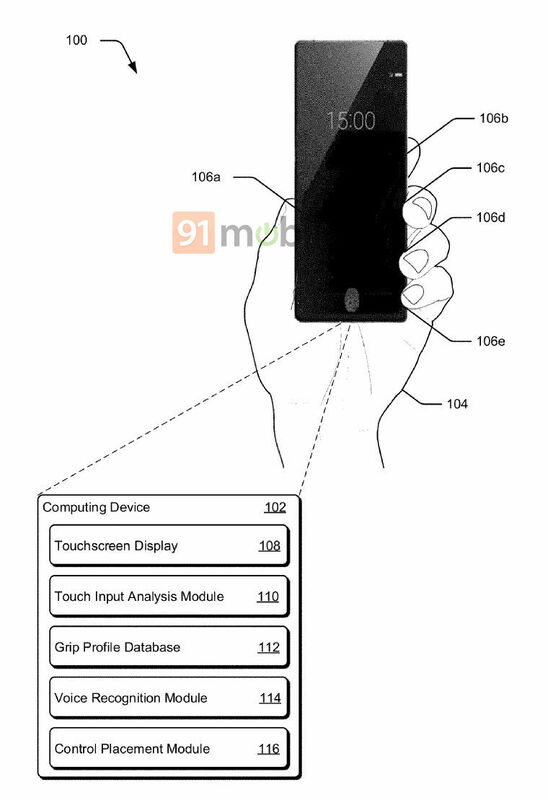 The very first image in the listing has different modules like touchscreen, touch input analysis module, grip profile database, and more listed. However, what caught our attention is the fingerprint icon on the bottom edge, hinting at an in-display fingerprint scanner. That’s just the tip of the iceberg though, as other drawings reveal that the smartphone might feature a display that extends towards the edges, with each of the sides serving a different purpose. 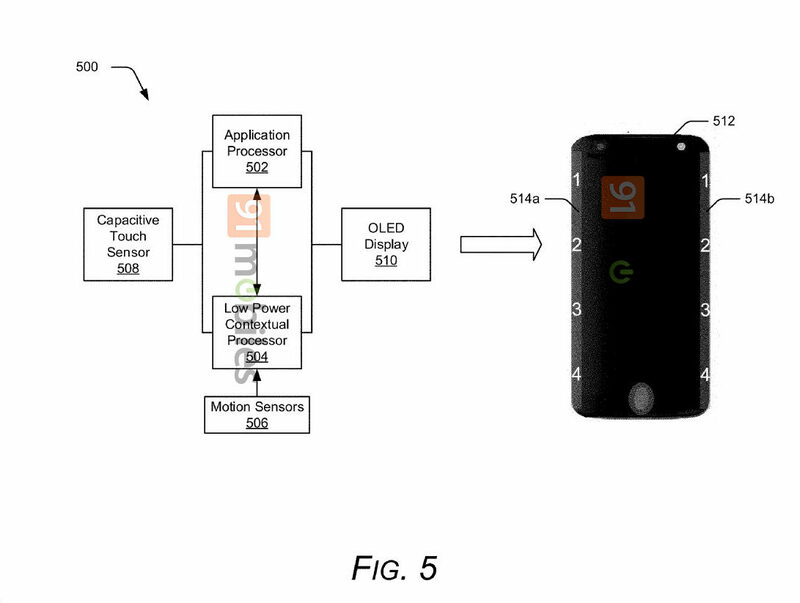 This means that Motorola might get rid of physical buttons entirely on the upcoming device. 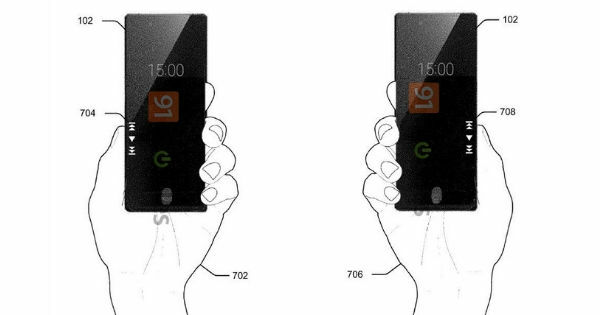 The drawings reveal that the sides of the upcoming smartphone will have virtual buttons for music playback, camera and power button. However, there is no word on whether Motorola will take a leaf out of HTC and Google’s book and provide an Edge Sense-like virtual buttons, which work on both sides. 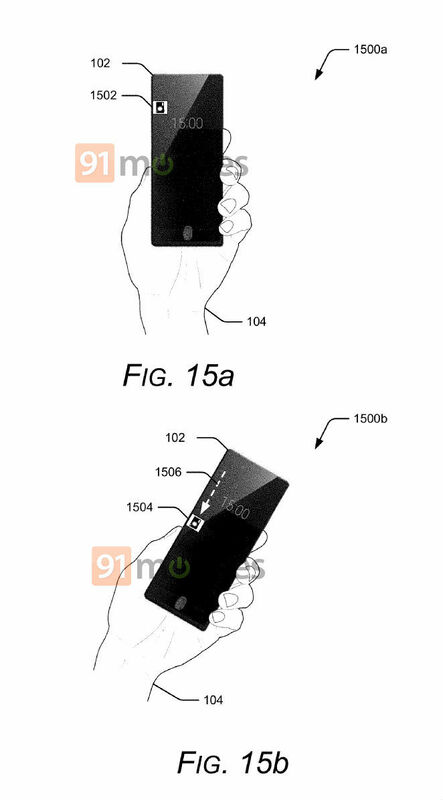 The patent drawings also show the feature can be implemented on both sides of the smartphone. 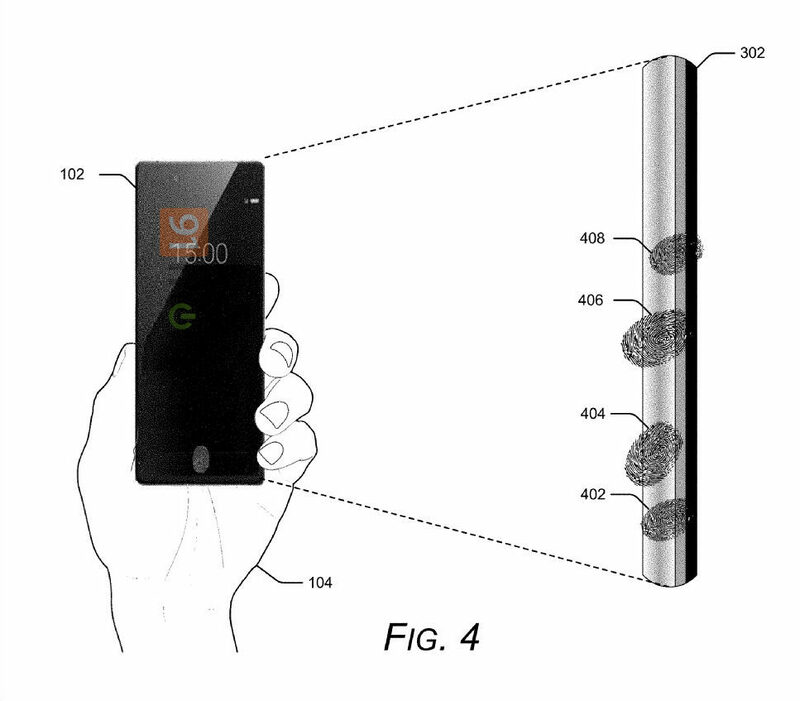 That’s not all, the filing also suggests that the device will be able to understand the way the user is gripping it and change the placement of these virtual buttons depending on how the phone is being held or it’s being used in a different orientation. 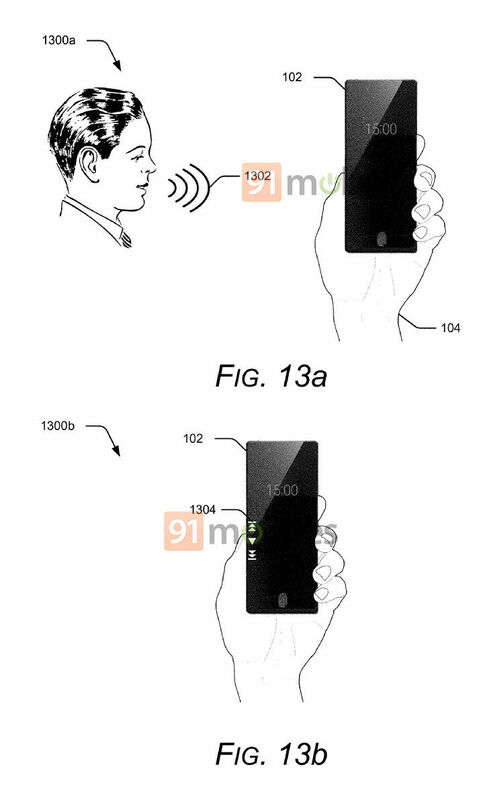 Notably, the same patent suggests that this particular handset will automatically be able to detect attachment of a modular accessory. Once detected, the smartphone will show virtual control button(s) on the screen to provide control for the mod. 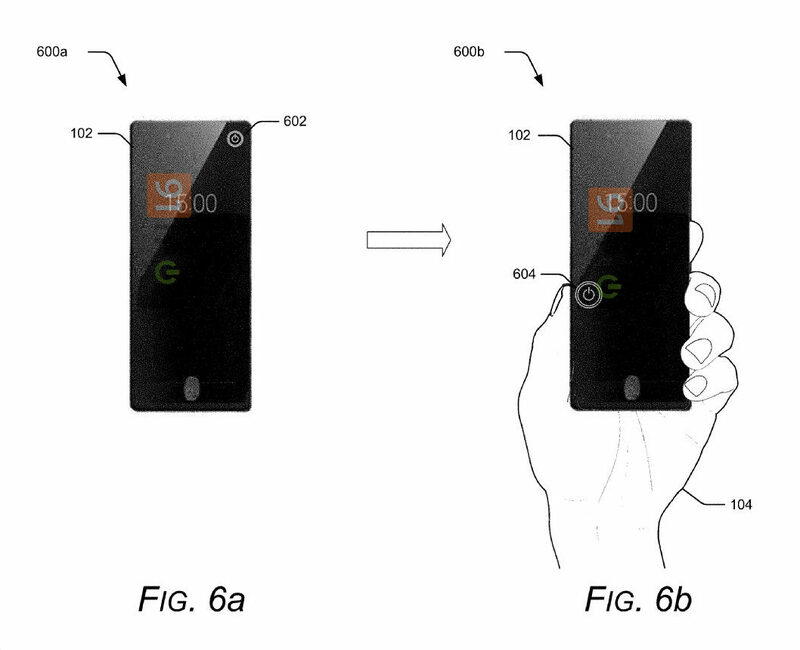 In addition, the same phone will offer virtual keys that are voice-activated. This will first recognise the voice of the user of the phone and show up a virtual key on the screen to trigger other functionalities. 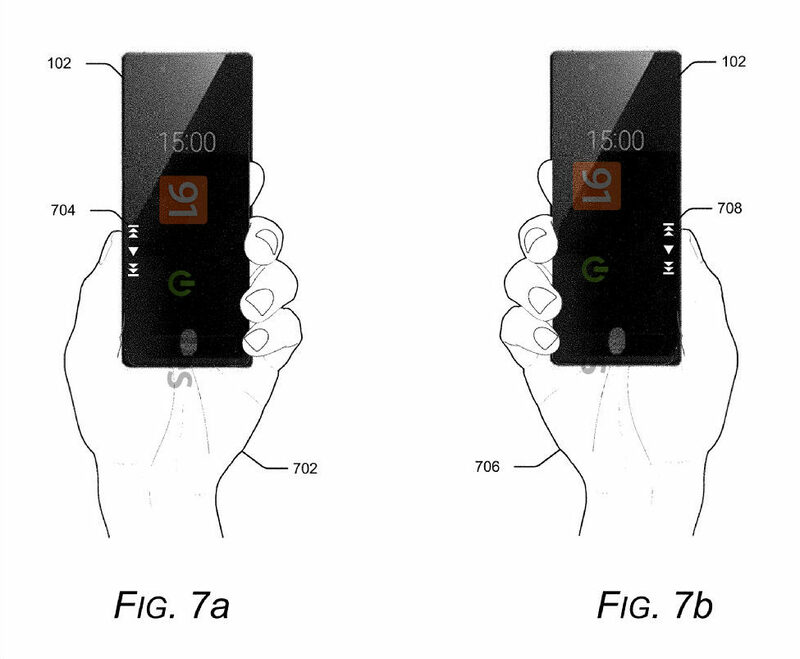 However, no other details of the smartphone or even the model number are known at the moment. We will bring you more updates as and when something concrete turns up, so stay tuned. Abhiman is obsessed with all things tech. His hobbies include reading on his Kindle and clicking random pictures on his phone. His secret superpowers happen to be mixing great cocktails and lip reading. In his spare time, you are likely to find him with a spinner in one hand, and indulging in his love for food with the other.